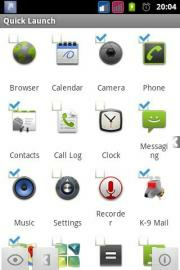 Although android has a wide range of abilities, some essential features are missing, among them is QUICK ACCESS (LAUNCH). Do you want to start a new application when running another, doing your stuff and then come back where you left before? In the real procedure, it includes 6 steps. There is a feature in operating systems like windows, named QUICK LAUNCH which this application will do likewise in android. This application provides the users with QUICK ACCESS to a list of selected applications. You can make a list of your favorites to get to at the quickest pace of possibility: ONLY 2 STEPS in one way and in ONLY 1 STEP in another way. 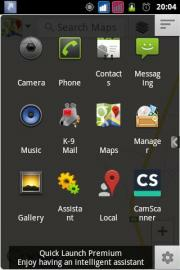 This application shorten the way to find and run your frequently used programs in android. Above that, You can get back via a single touch to previous running application. Now, you can download the feature in order to quicken the steps. this app is smart and find which application you use more and bring them up in list.